The MP Mini-Photohelic differential pressure switch/gage combines the time proven Minihelic II differential pressure gage with two SPDT switching setpoints. 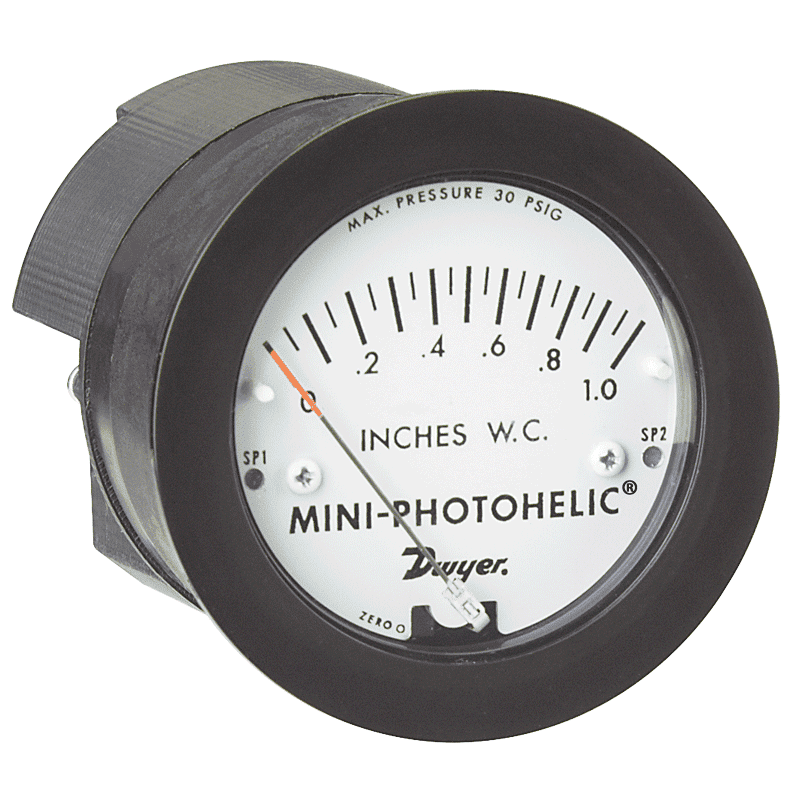 The Mini-Photohelic gage is designed to measure and control positive, negative, or differential pressures consisting of non-combustible and non-corrosive gases. Gage reading is independent of switch operation. This extremely compact switch/gage is ideal for fume hoods, dust collection, pneumatic conveying and clean room applications.